The Justice Department is investigating Boeing’s development process for the 737 Max jetliner after two high-profile accidents appear to involve the planes’ anti-stall systems, The Wall Street Journal reports. A grand jury in Washington, D.C., issued a subpoena for documents from one person involved in the development process March 11, TheWSJ reported, citing a source familiar with the matter. The investigation comes alongside a Department of Transportation probe into the Federal Aviation Administration’s approval process that certified the Boeing plane and its safety and training procedures. The Justice Department’s involvement could signal that criminal charges are on the table for those involved in the Max’s development. A prosecutor in the department’s criminal division was listed as a contact on the subpoena, according to TheWSJ. Two separate crashes, one in October 2018 and another in March, involved Boeing’s Max model. In October 2018, a Max operated by Lion Air crashed into the Java Sea in Indonesia, killing all 189 people on board. The plane crashed shortly after takeoff and investigators suspect a flaw in the system’s anti-stall system caused it, CNN reports. An Ethiopian Airlines flight crashed minutes after takeoff March 10, killing all 157 people on board. 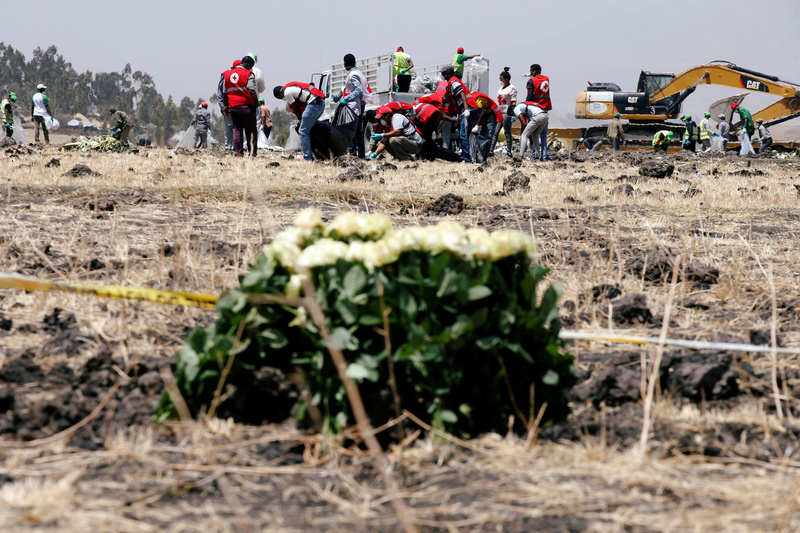 Boeing investigators are working with the Ethiopian government to identify the cause of the crash. Ethiopia’s transport minister acknowledged the Lion Air and Ethiopian Airlines crashes shared “clear similarities” Sunday. Many nations have enacted bans on flying Max planes since the Ethiopian Airlines crash. President Donald Trump banned the use of the plane Wednesday, grounding all flights in the U.S. scheduled to use the plane. Pilots in the U.S. complained multiple times about the Max model plane before the March crash. Several of the complaints cited the model’s anti-stall system. The system sometimes measured false data on takeoff, and it would push the plane’s nose down toward the ground to prevent a stall. Pilots regained control of the plane and continued climbing only after turning off the system.